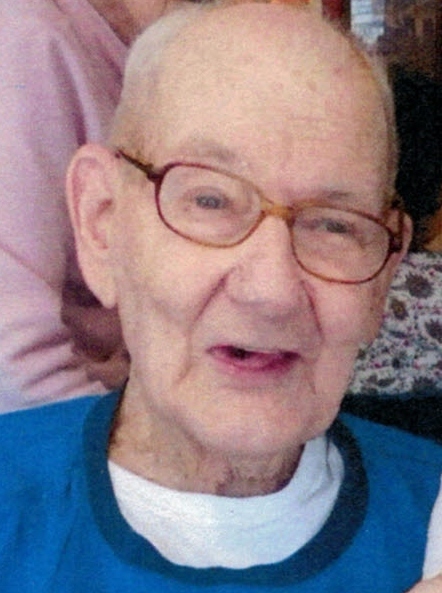 Herk G. Caruthers, age 94, widower of Mary Alice Miller Caruthers, of Lawrenceburg, died Friday, January 25, 2019 at Signature Healthcare at Heritage Hall. Mr. Caruthers was born in Salvisa, Kentucky to the late William Albert and Patty Ledridge Caruthers. He graduated from Salvisa High School; US Army Veteran that served during WWII, the 82nd Airborne Division, Glider Infantry and Occupational Forces in Belgium, France, Germany and England; member at First Baptist Church; on the University of Kentucky Committee of 101 for over 40 years; retired from IBM where he worked for 31 years; and was a former employee of Freeman and Mann Furniture Store. Herk is survived by three nephews and two nieces. Along with his wife he was preceded in death by brother, Burt Caruthers; two sisters, Hazel C. (Tom) Lapsley and Mildred (Lee) Searcy. Casket bearers will be Bobby Hill, Brandon Hatfield, Harold Case, Larry Duncan, Brad Mitchell, Paul Mann. Honorary bearers will be Dwayne Bennitt, Jane Mann, Luke Mann, Logan Mann, Leslie Mann, Orbey Gritton and Gene Oakley. Funeral services will be 2:00 p.m. on Monday, January 28, 2019 at Gash Memorial Chapel with Dr. Robert F. Ehr and George Smith officiating. Burial will follow in Lawrenceburg Cemetery. Visitation will be from 12-2 p.m. prior to the service. Memorial contributions are suggested to First Baptist Church, From the Heart Fund, 111 N. Main St., Lawrenceburg, KY 40342.